General layout of the Leptostracan bodyplan (Nebalia bipes). English : General layout of the Leptostracan bodyplan (Nebalia bipes). The Hopetoun Falls is a waterfall in Victoria, Australia. 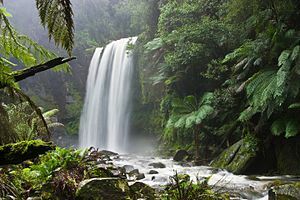 English : The Hopetoun Falls is a waterfall in Victoria, Australia. Flames flickering in a fireplace. English : Flames flickering in a fireplace. The Angelus (1857-1859) by Jean-François Millet. English : The Angelus (1857-1859) by Jean-François Millet. The multilevel streets in downtown Chicago. 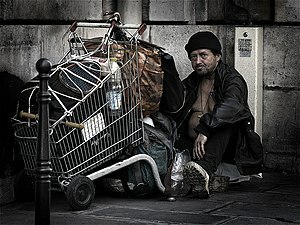 English : The multilevel streets in downtown Chicago. The dome of the United States Capitol. English : The dome of the United States Capitol. Winter scene at Shipka Pass in Bulgaria. English : Winter scene at Shipka Pass in Bulgaria. English : Montreal City Hall. English : The 49th plate from Ernst Haeckel's Kunstformen der Natur of 1904, showing various sea anemones classified as Actiniae.